for lake property in your neighborhood! In today's market, home buyers want a variety of choices to meet their individual tastes and lifestyles. The TN Lake Living network is designed to provide a wealth of information on lake property in East Tennessee. On any of our lake property websites, potential home buyers viewing your lake property can expect a unique interactive experience that includes high-resolution photos, 360° virtual tours, video home tours and more. As a Realtor, I understand the emotional stress when choosing to buy or sell a house. I take pride in making the home buying and selling process easy for my clients and go above and beyond traditional methods to provide 100% satisfaction. My commitment to innovation and adaptability is demonstrated by using cost-effective marketing methods catered to your individual business needs and interests. I deliver a unique & proactive marketing strategy that combines: research, analysis, psychology, technology and statistics. 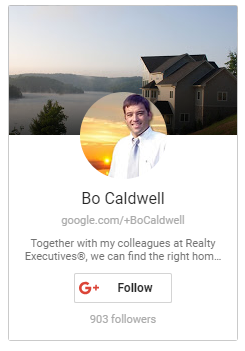 Few agents in the Knoxville area have the background, experience and ability to intertwine these strategic elements to ensure the very best results for you. As a home owner, when you choose to sell a property, the choice of a Realtor is very important and I believe that you — deserve the absolute best! Together with my colleagues at Realty Executives®, we can find the right home buyers for you. Please provide details about your properties best features. How soon do you plan to sell? -- Please Select ----------------------- I plan to sell immediately. I plan to sell within 2 months. I plan to sell within 6 months. I plan to sell within 1 year. I am undecided.